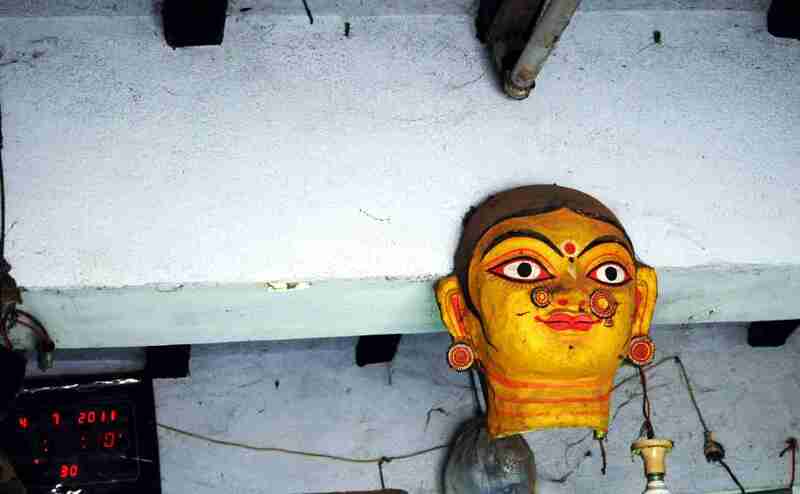 Raghurajpur Part 4: Masked in creativity.. 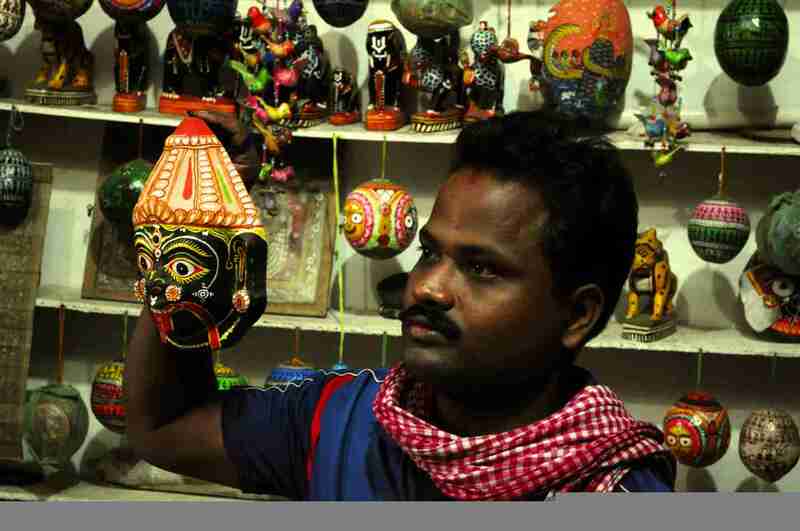 There is no exhaustive list of products that are made in Raghurajpur (considering their homes are also works of art). 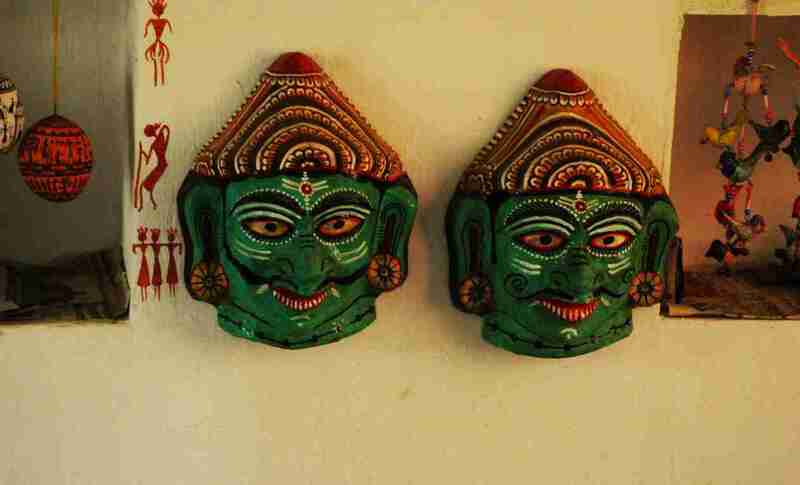 The walls are painted on in their homes, the empty bottles are painted in bright tribal art and Lord Jagannath, (the focal point of their lives) is portrayed on every conceivable medium. 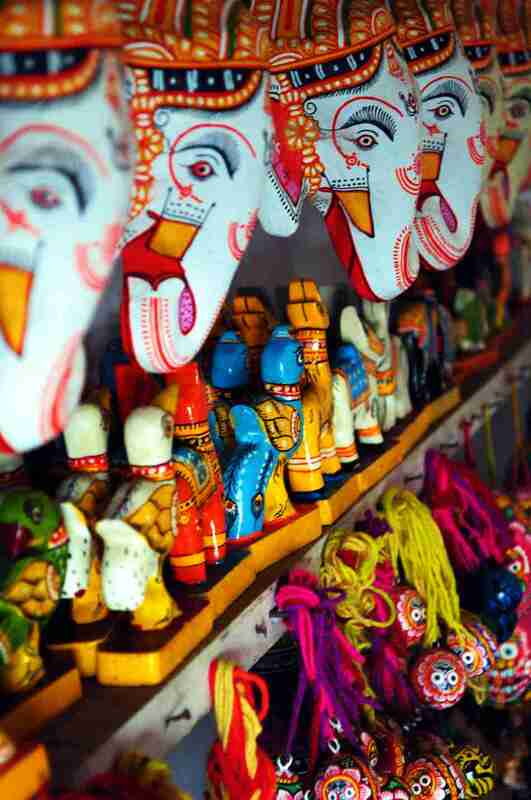 So when masks in bright colours and interesting themes beckon, it is hard to resist. 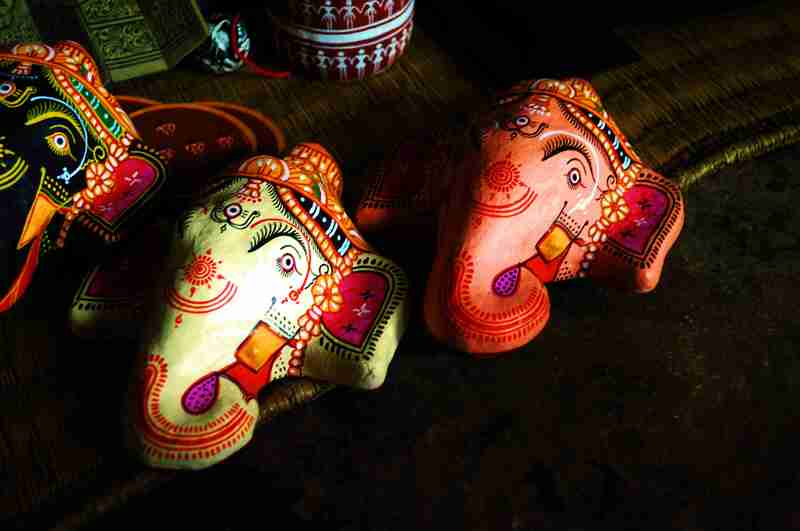 Made with Papier-mâché, Lord Jagannath and his triad were the only themes made initially. 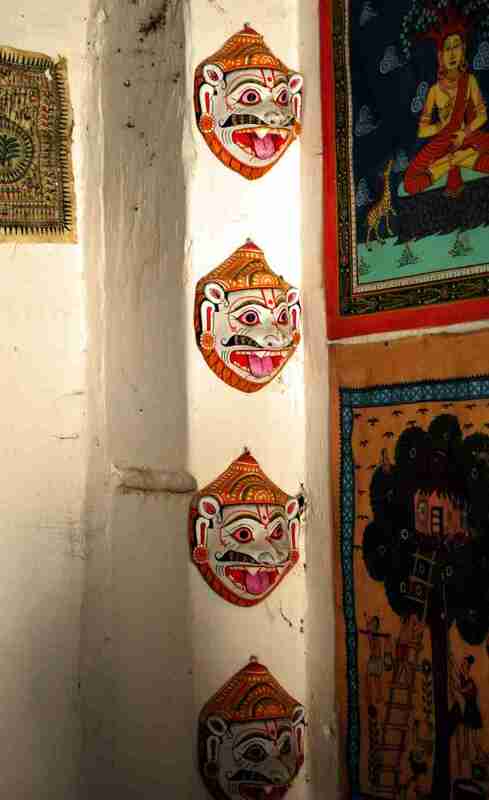 Nowadays apart from making faces of other Gods and Goddesses, regular Pattachitra and village themes are also used. Take your pick from the ones in the pictures. There will soon be lots more available on CraftCanvas. 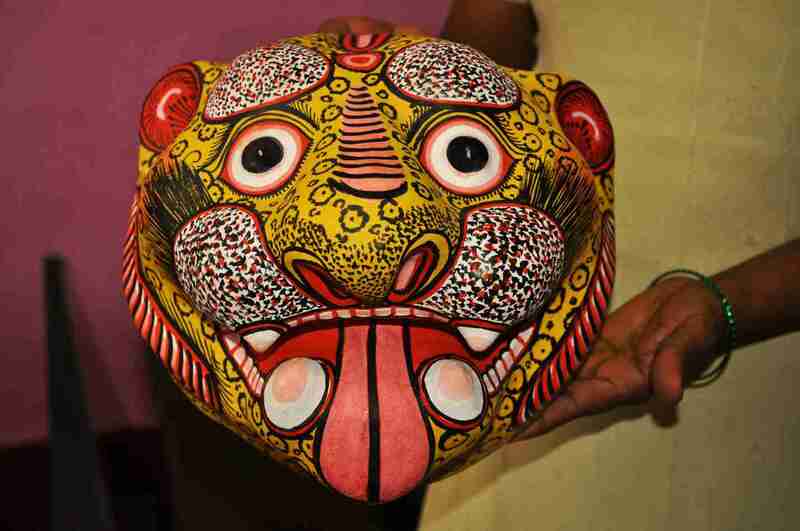 Please click here for more pictures of Orissa- Rath yatra and crafts.